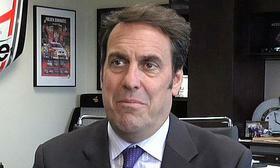 DETROIT -- General Motors product chief Mark Reuss will succeed Dan Ammann as president, the automaker said Thursday. Reuss, 55, will assume responsibility for GM's quality organization in addition to leading its Global Product Group and Cadillac. The appointment is effective immediately, according to GM. In November, GM said Ammann, 46, would step down from the role to lead the company's Cruise autonomous vehicle unit, effective Jan. 1. A replacement was not named. The position’s responsibilities will be more product-focused for Reuss than they were for Ammann. GM CEO Mary Barra will retain direct responsibility over global regions and GM Financial, while GM CFO Dhivya Suryadevara will continue to oversee corporate development -- previously all responsibilities of Ammann. Reuss added responsibilities for Cadillac and global portfolio planning from Ammann in June 2018. Since then, he has been restructuring and building an integrated product development team that will focus significantly more resources on autonomous and electrified vehicles -- particularly battery-electrics -- while streamlining GM's army of engineers. “Mark has played a critical role in leading the development of the company’s award-winning vehicles while transitioning his team to prepare for growing electrification and autonomous technologies,” she said in a statement. Reuss, a mechanical engineer and road racer, began his GM career as a student intern in 1983. The 35-year GM veteran has risen through the ranks to be one of the most well-known executives in the company -- particularly for his contributions to GM’s product portfolio and performance chops. Previously, Reuss was executive vice president, Global Product Development, Purchasing and Supply Chain from 2013-2018. Before then, starting in 2009, Reuss was president of GM North America, responsible for the automaker’s performance, manufacturing, portfolio and dealer network. He also created and led the GM Performance Division in 2001 while serving as executive director of Architecture Engineering. Reuss will continue to serve on the board of GM China’s joint venture, Shanghai General Motors Co. He also serves on several non-GM boards such as The Henry Ford and other Detroit-area philanthropic, business and educational organizations. It is a message Barra herself hit hard on Friday during a presentation to investors in New York, where she promised stronger profits and outlined plans for its Cadillac brand to challenge Tesla. Trump’s election win brought a dire warning from GM executives in a presentation in late 2017 and early 2018 to the company’s board: an end to the North American Free Trade Agreement (NAFTA) could cost the automaker billions of dollars in tariffs on GM’s Mexican vehicles. They concluded that the costs would still be less than the billions of dollars and years it would take to shift production to the United States. GM argued that while it was building autonomous vehicles and electric vehicles in the United States, it needed to keep generating profits on Mexican-built trucks to fund those operations. So Barra made engaging with the White House after Trump’s election a key focus. Returning Cadillac to some measure of its previous glory, and positioning it as an EV leader, promise to be a heavy lift. DETROIT — Behind General Motors' bold pronouncements about a high-tech, electrified future for Cadillac lies a grimmer reality: Despite a decade of similar efforts to elevate and transform the brand, it remains in fragile shape. 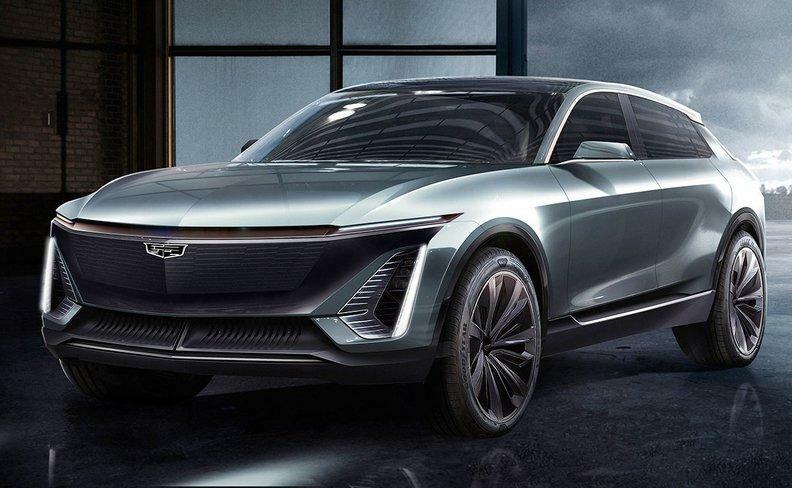 Cadillac this month previewed an electric crossover expected in 2021 that will be the first vehicle to ride on GM's next-generation EV platform. "We've got one chance. This is it," Reuss told Automotive News last week. "We will leave nothing on the table, but we've got to get there. ... We're going to get there." Reuss and Carlisle expect to succeed where others have failed by leveraging Cadillac's growing popularity and profits in China, which became Cadillac's top market in 2017. They'll be building on an aggressive product plan orchestrated by Johan de Nysschen, the former Audi and Infiniti executive who left a plodding brand-building effort unfinished when he was ousted as Cadillac's president in April. At the same time, they're erasing some hallmarks of the previous leadership era, during which Cadillac moved its headquarters to New York, embraced esoteric marketing and sought more autonomy from executives in Detroit. Cadillac is now giving up its New York presence entirely and relocating to a refurbished building in suburban Detroit. Reuss took oversight of Cadillac from then-GM President Dan Ammann in June. Cadillac Chief Marketing Officer Deborah Wahl, who returned to the auto industry after a 10-year hiatus to succeed Uwe Ellinghaus last year, is bringing more upbeat, less-pretentious marketing and advertising to the brand. Cadillac is still dogged by a reputation as a large-car brand, she said, but there are "pieces of its heritage that are still strong in people's mind." Returning Cadillac to some measure of its previous glory and positioning it as an EV leader promise to be a heavy lift. It means going up against not only the traditional luxury leaders from Europe, but also electrification pioneers with far stronger brands that are establishing beachheads in high-performance or luxury EVs, including Tesla, Mercedes-Benz, BMW and Porsche. Cadillac's performance against luxury rivals during its current three-year product blitz will either build a firmer foundation for the brand to make that climb into EVs or bury it in an even deeper hole. Aston Martin CEO Andy Palmer, who is leading the launch of Lagonda as a zero-emission luxury marque, is skeptical that Cadillac can break through. "There's a real disadvantage of being a premium brand inside a mass company," the former Nissan executive said last week at the Automotive News World Congress. "Basically, Cadillac inside of GM, Lincoln inside of Ford or Infiniti inside of Nissan — none of them will make it." Within a mass-market company, Palmer said, such brands are forced to push sales volume and profits for the company, even when it risks undermining the brand with incentives. Brands such as Mercedes-Benz and BMW, he said, don't have that problem. In 2018, Autodata estimates, Cadillac's incentives averaged nearly $8,900 per unit sold — among the highest in the auto industry. BMW and Mercedes-Benz were both at roughly $5,750. As Cadillac unveiled the XT6 three-row crossover last week in Detroit, there were already murmurs that it may not be up to the challenge. A long-awaited vehicle in a fiercely contested segment, it opened to middling reviews for its performance numbers, technology and conservative design, similar to the response that greeted the XT4 compact crossover when it launched last year. "There's no reason why the XT6 can't sell well," said Stephanie Brinley, IHS Markit principal analyst. "But when you think of Cadillac as the leading technology brand, it doesn't have as much technology as some of its competitors." Given the amount of time Cadillac spent on the vehicle, and its being on an established platform — shared with the midsize XT5 and other large GM crossovers — the lack of innovations "leaves you scratching your head a little bit," Brinley said. Missing from the XT6, for example, is Super Cruise, the hands-off driver-assistance system for highways that launched in 2017 on the Cadillac CT6 sedan. It's designed for the kinds of long-haul road trips that a family might take in an XT6. Reuss, who last year announced the technology would expand across Cadillac's lineup beginning in 2020, made no excuses for the technology not being on the XT6. "I'm very respectful of all the people who have worked on Cadillac in the past [and] work on it now," said Reuss, who has led GM's product development arm since 2013. "I will take all the heat for it not being there, and that's the way it is." Removing excuses has been part of Reuss' plan since he took oversight of Cadillac last year. It's one of the reasons why he says it was important to move Cadillac's headquarters back to Michigan after the four-year run in New York. The move back, he said, eliminates travel time and moves Cadillac's leadership right across the street from the GM Technical Center just north of Detroit, the automaker's epicenter for product design and development, including battery EVs. 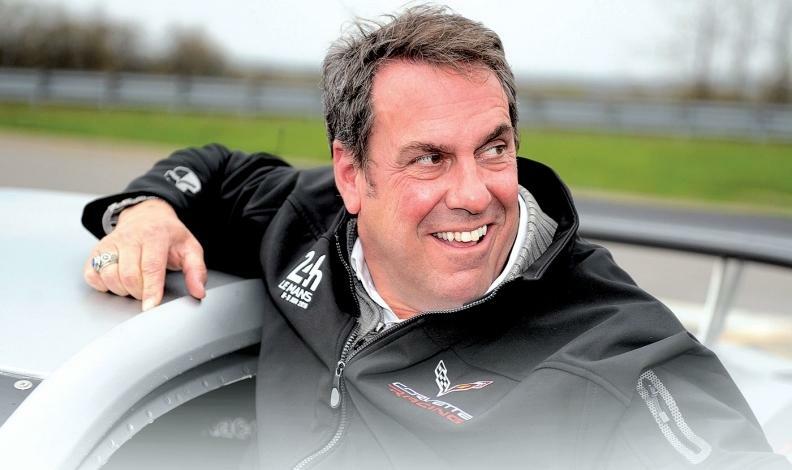 "Nothing against New York, but we need really talented people to ... bring Cadillac to a different place than it's been in my entire career, frankly," Reuss said. "I'm trying to eliminate all the excuses of why we're not. And that's one of them." Compared with the current Sierra HD, the redesigned pickup is taller and longer but features a 1-inch lower bed lift-in height. It incorporates design elements similar to its light-duty sibling, including redesigned C-shaped headlamps and taillamps and a larger grille — unique to each trim — and functional hood scoop. The pickup, expected to go on sale late summer, will be available in base, SLE, SLT, AT4 and Denali in dual-rear-wheel and single-rear-wheel configurations. Like its Silverado HD sibling, the Sierra HD will be powered by an all-new gasoline engine or Duramax 6.6-liter diesel engine with SAE-certified 445 hp and 910 pound-feet of torque. The performance of the diesel engine, mated to an Allison-branded 10-speed transmission, is similar in horsepower to similar Ford and Ram models, but with lower torque output. Ford's 6.7-liter Power Stroke V-8 diesel is rated at 450 hp and 935 pound-feet of torque, while the Ram HD's Cummins 6.7-liter diesel engine features 400 hp and 1,000 pound-feet of torque. More than 90 percent of current Sierra HD buyers purchase crew cab models with diesel engines, according to Aldred. Towing capacity, according to GMC, will exceed 30,000 pounds. GM did not release pricing or payload for the pickup. Aldred called the pickups “the ultimate trailering machines,” following a Sierra HD 3500 model pulling a large boat and marine lift behind it during the unveiling. The boat and hoist weighed more than 225,000 pounds. GM said it will release specific towing, payload and other specifications closer to launch. 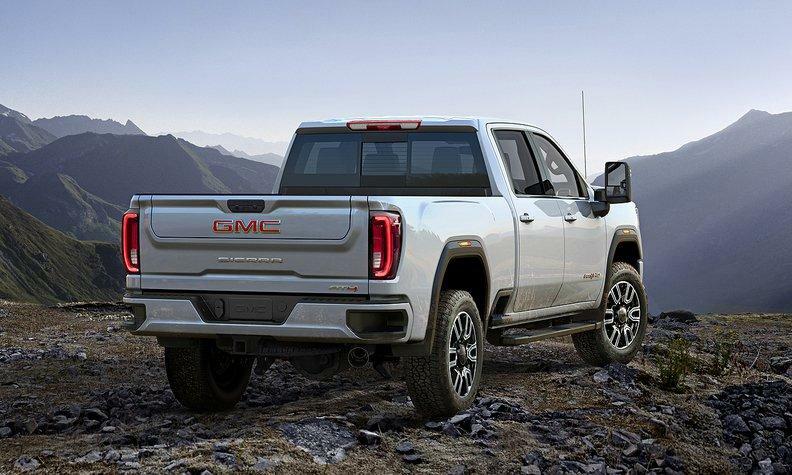 GM invested $1.5 billion to support the launch of the redesigned Sierra HD and Silverado HD at Flint Assembly in Flint, Mich.
GMC's annual sales declined 0.8 percent last year to fewer than 560,000 units, while Sierra sales increased 0.7 percent to nearly 220,000. SAO PAULO -- General Motors' Brazil unit is in advanced talks with Sao Paulo state to receive tax incentives, the company told public officials and union representatives at a meeting on Tuesday, a few days after telling workers in a memo that it was losing money in the country. GM's top executives in South America attended the meeting along with union representatives and mayors of the two cities where the automaker's Sao Paolo state plants are based. Two officials representing the two cities told Reuters GM disclosed the tax incentive discussions at the meeting. "They told us that the conversation with the state is very advanced, very positive," said Alberto Marques Filho, secretary of innovation for the city of São Jose dos Campos, where one GM plant is based and where the meeting took place. A representative for the state government said in a statement it has "been working to show the public that it is advantageous to keep the company in Sao Paulo." GM is the undisputed market leader for small cars and trucks in Latin America's largest economy, but it was not revealed until recently that the automaker was losing money there. Earlier this month, GM CEO Mary Barra said the company had lowered its break-even point in the region in recent years by 40 percent, but it still faced "unacceptable losses that need to be addressed." "We've begun work with key local stakeholders, dealers, suppliers, unions and government officials to take all necessary actions to generate acceptable returns in the near term or to consider other options," she added at an investor presentation on Jan. 11. GM posted a memo in its plants in Brazil warning workers that it had experienced deep losses in the past two years and could not keep operating that way. GM has yet to comment on the memo, which was seen by Reuters. GM, which is undergoing a global restructuring, also has announced thousands of layoffs in the United States and Canada. It also plans to shut two plants outside the United States which it has not yet identified. The automaker is also looking to negotiate future investments with its unions, the governments of cities where it operates, and suppliers, said José Auricchio, the mayor of another GM plant location, Sao Caetano do Sul. The memo added that any turnaround plan for GM would require "sacrifices from everyone." Last year, Brazil's federal government granted carmakers with local plants a 15-year package of tax breaks, extending subsidies for an industry that has struggled to compete. 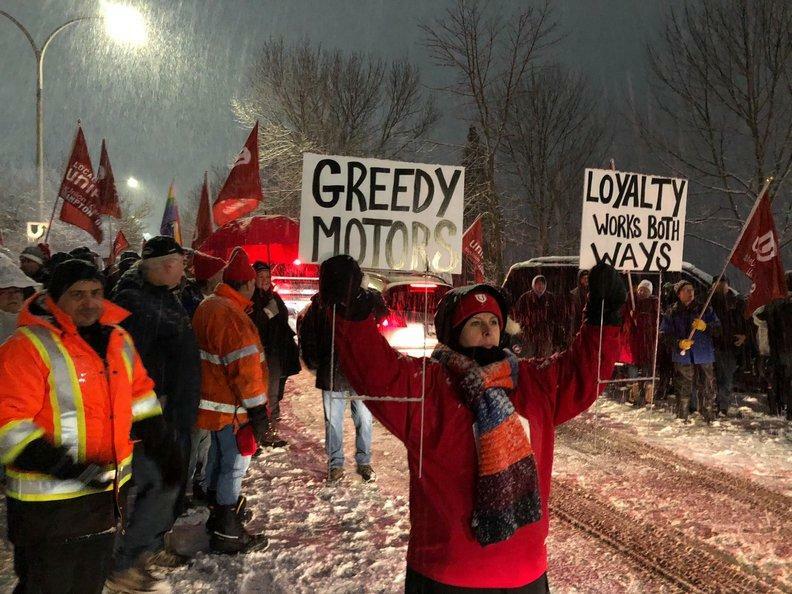 TORONTO — Unifor members on Wednesday morning formed a blockade outside of General Motors’ Canadian headquarters in Ontario, to protest the automaker’s plans to end production at the nearby assembly plant in Oshawa. Unifor’s action is the latest in an escalating feud between the union and GM. Unifor has undertaken an international campaign to save the Oshawa plant, taking out advertising in Canada and the United States and staging protests that briefly halted production at the factory and at one of its nearby suppliers. 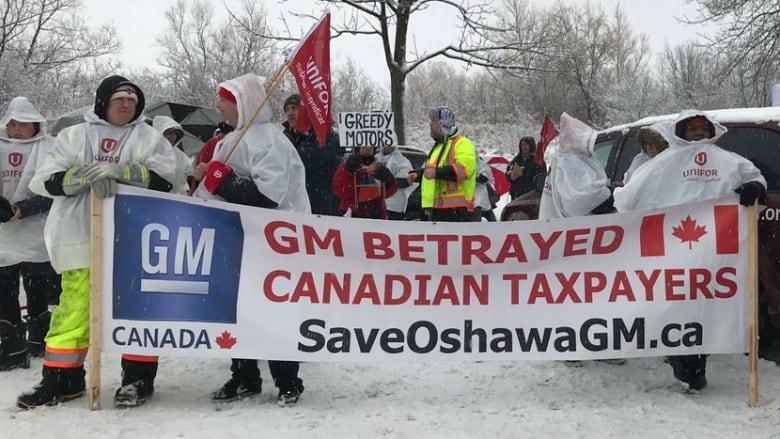 GM Canada, meanwhile, has taken to social media to refute claims by Unifor that the company is moving the Oshawa jobs to Mexico and has repeatedly urged the union to work with it on securing new jobs for workers. The war of words continued on Wednesday afternoon. During a news conference at the blockade, Dias said Unifor’s actions would happen on an ongoing basis at different GM facilities and suppliers. Dias said Unifor's actions would not include an outright boycott of all GM products. "I'll never call for an outright boycott," Dias said. "Our members in Ingersoll make the incredible Equinox. Our members that work in St. Catharines provide powertrains for so many different vehicles that are sold in the United States. "But I have a real problem with the Mexican vehicles that GM thinks it can just dump on the Canadian and U.S. market. I'll leave it at that." In an interview following Dias’ press conference, Paterson downplayed the significance of the blockade and said he “felt bad” for Unifor members who have stood in cold, snowy and rainy conditions. Paterson said GM Canada considers Unifor’s blockade to be illegal, and the automaker could consider taking legal action in response. He said GM has asked local police to stop protesters from blocking the road to the headquarters, though he was unaware as of Wednesday afternoon if the company had filed for an injunction. “I believe this is an illegal action, so we’ll see how long they’re there,” Paterson said. “I honestly don’t know what our legal staff will do on that, but I presume from experience where Unifor has done this before, generally it’s agreed it’s an illegal action. In past instances, where they’ve done this before, there have been injunctions that have been secured. An Ontario Superior Court judge ruled in 2008 that a nearly two-week blockade of GM Canada’s headquarters by the Canadian Auto Workers, a predecessor of Unifor’s, that year was illegal. That blockade was in response to GM announcing that it would close its Oshawa truck assembly plant, which would shutter in 2009. Dias said the blockade would be a sustained effort, lasting beyond Wednesday and again threatened to escalate Unifor’s battle with GM. Dias said he was set to meet Wednesday morning with officials in Prime Minister Justin Trudeau’s office to discuss the Oshawa plant. He said he would urge the federal government to get more involved in its fight with GM and said he ultimately wants a meeting between himself, Trudeau and GM CEO Mary Barra. Barra met with Navdeep Bains, the federal minister of innovation, science and economic development, in Detroit last week. Bains said he urged GM to reverse course on its Oshawa plans, though Barra said the decision was final. A Unifor spokeswoman said non-GM employees who work at the company’s Canadian headquarters will be allowed in by union members. Paterson said non-GM tenants of the building include Ontario Power Generation Inc. and cafeteria services. Oshawa Assembly is one of three North American assembly plants GM plans to stop allocating production to in 2019 as part of a larger corporate restructuring. Oshawa builds the Cadillac XTS and Chevrolet Impala sedans and does final assembly on previous-generation Chevrolet Silverado and GMC Sierra pickup bodies shipped from the United States. Here's more proof that downsizing and turbocharging have their limits. Small gains in the efficiency of a heavy, wind-catching pickup truck result in a sizable percentage swing. 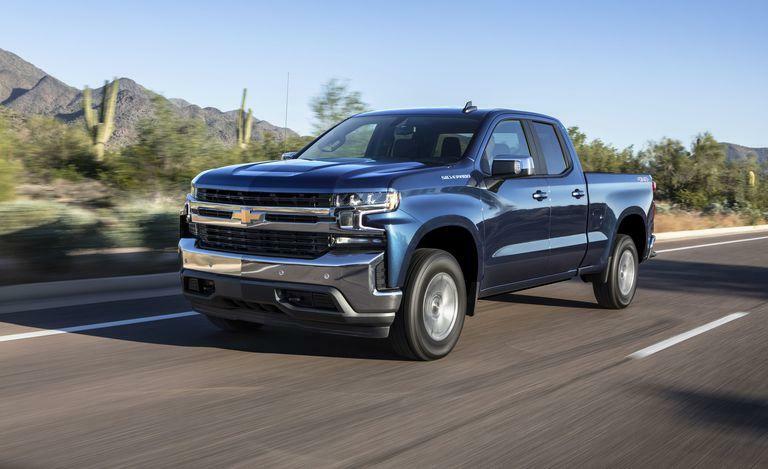 Take two versions of Chevrolet's new 2019 Silverado 1500, for example. One is powered by the equally new turbocharged 2.7-liter inline-four and the other has an updated 5.3-liter V-8; both engines are paired with General Motors' eight-speed automatic transmission and a four-by-four transfer case. The largest font on their respective window stickers belongs to the EPA's combined fuel-economy estimate: the 2.7 boasts a big 20 mpg, while the tried-and-true small-block posts a score of 18 mpg. These 2 mpg represent an 11 percent improvement for the 2.7. "Actual results will vary for many reasons" is among some of the smallest print. On the highway cycle, however, the EPA says the trucks should get an identical 22 mpg. For all the chest pumping that manufacturers do over downsizing and turbocharging, we found it curious that a pushrod V-8 could even come close to challenging it in any area of efficiency. So, since we recently had a Silverado 2.7T, specifically a Double Cab in RST trim, in the office, we ran it on our 75-mph highway fuel-economy test, which we call the "HFE test" for short. We couldn't have been more shocked by the result. The 2.7T averaged 18 mpg over the 200-mile test, a 14 percent drop from the 21 mpg we observed in the 5.3-liter RST Crew Cab, which was a full 314 pounds heavier. How is that possible? you ask. Our real-world test runs vehicles at relatively high speed, and while the downsizing and turbocharging approach is a benefit to the EPA test cycles, the 2.7 still needs to move a brick through the air. We suspect it is on boost or making use of the turbo at 75 mph. The exact opposite—the engine essentially operating as a naturally aspirated four-banger—is probably true during the 48-mph EPA highway test cycle. The 5.3 also benefits from some fancy bit of tech that GM calls Dynamic Fuel Management, which is capable of running 17 different ignition cycles to maximize fuel economy. Yet another inner-GM ego blow comes in the form of a GMC Sierra 1500 Denali we evaluated during this year's 10Best Trucks and SUVs competition. Despite its 6.2-liter V-8 having more than twice the displacement and 110 additional horsepower—it also gets a 10-speed automatic rather than the 8-speed—the Denali managed to tie the 2.7T's 18-mpg HFE result. The only half-ton pickup we've tested that has done worse on the HFE test is a 2017 Toyota Tundra SR5 fitted with the TRD Off Road package. It got 17 mpg. Even the Ford F-150 Raptor matches the effort of the Silverado 2.7T. All this talk of the worst begs the question, which truck is the best? For all pickups we’ve tested to date, that honor goes to both the Honda Ridgeline and the diesel-powered GMC Canyon, each of which got 28 mpg. The best half-ton result was 26 mpg, owned by a Ford F-150 Crew Cab 4x4 with the 3.0L V6 diesel. It is worth noting that GM's 2.7-liter isn't the last engine it's releasing for the new half-ton siblings. There is a 3.0-liter diesel inline-six coming that should challenge the F-150 and maybe even those mid-sizers for the pickup crown of HFE. When and if it does, we'll let you know. General Motors said on Thursday it will invest $22 million at its Tennessee plant to build fuel-efficient engines for GM's large pickups and SUVs. GM will add more than 200 jobs at the Spring Hill plant to make the new generation of 6.2-liter, V-8 engines. 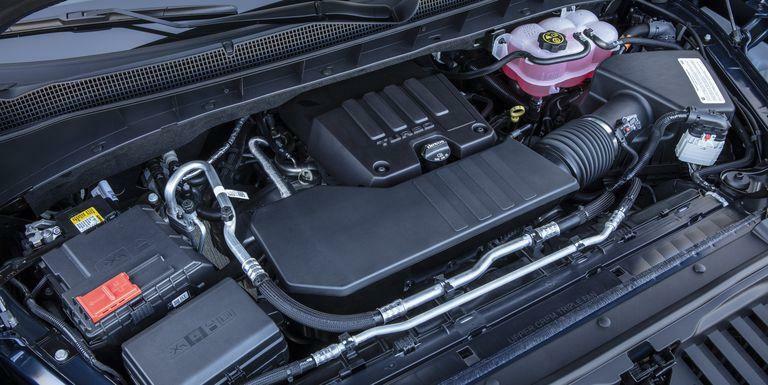 GM claims the new V8's Dynamic Fuel Management (DFM) technology is "the industry’s first cylinder deactivation technology which enables the engines to operate in 17 different cylinder patterns to optimize performance. DFM enables only the cylinders needed to deliver the power a customer wants." GM is now Mexico's largest auto producer, topping Nissan Motor Co. in a year when it reduced output by an estimated 5 percent in the U.S. and an estimated 33 percent in Canada. GM built 834,414 vehicles in Mexico last year, an increase of 3.6 percent, vs. a 10 percent decrease to an estimated 763,257 for Nissan, which had been No. 1. "We want those cars here," says Rep. Debbie Dingell, a Michigan Democrat and former GM lobbyist. "That's why we have to support a public policy environment that encourages production in the U.S."
But production in Mexico is expected to remain stable in the coming years, particularly now that the U.S., Canada and Mexico have signed a renegotiated free-trade agreement. In Mexico, Toyota built 49 percent more Tacoma pickups in Tijuana, and Hyundai-Kia made 33 percent more small cars in Nuevo Leon. Besides those two and GM, the only other automaker to raise output in Mexico was Fiat Chrysler Automobiles — by 369 vehicles. Honda and Ford joined Nissan with double-digit cutbacks. A GM spokesman said the company hasn't added any capacity in Mexico for a decade and has no plans to do so. Its 2018 gain there stemmed from falling demand for GM's U.S.-made cars and surging popularity of crossovers such as the Mexico-made GMC Terrain and the Chevrolet Equinox, which is built in both Mexico and Canada. Production of the Equinox and Terrain in Mexico nearly doubled from 2017, but GM built 11 percent fewer pickups and 74 percent fewer cars in Mexico last year. 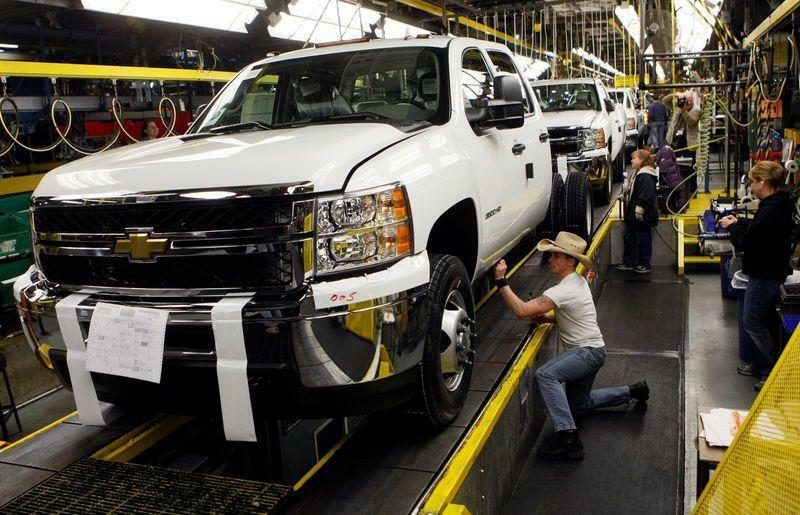 Mexico represented an estimated 30.8 percent of GM's 2018 light-truck production and an estimated 25.7 percent of its total output in North America. Ford got 9.7 percent of its North American supply from Mexico but doesn't build any pickups, SUVs or crossovers there. General Motors has made changes to its brands' complimentary maintenance plans for 2019 model year vehicles. It now offers just one free service visit instead of the previous two or three visits (depending on brand). This sole free visit—which amounts to an oil change, a tire rotation, and a multipoint vehicle inspection—must be redeemed within the first year of ownership. GMC and Chevrolet both offered two complimentary scheduled maintenance visits on last year's models; the GMC website now shows details about the new one-visit program starting with 2019 models. Chevrolet has not yet updated its consumer website with details about its 2019 models’ complimentary scheduled maintenance plan, but a company representative has confirmed the brand is dropping its two year maintenance program in favor of a one-visit plan. A representative from Cadillac explained to us that the change aligns the company's offerings with those of many luxury rivals such as Audi, which offers exactly the same service. However, brands such as Jaguar and BMW continue their free-service programs, with Jaguar owners getting five years and BMW owners getting three years of complimentary maintenance. Cadillac and Buick have made no other changes to their standard warranty offerings, which currently are above average for the auto industry with six-year or 70,000-mile powertrain coverage. GMC and Chevrolet have held steady on their warranties as well but aren't as generous as GM's premium brands. For owners interested in prepaid maintenance plans, GM will continue to offer such products through franchised dealerships. The plans range widely in both cost and coverage—Buick, for example, offers plans as short as two years all the way up to 15 years—and can be made to cover basics such as oil changes or be far more inclusive by covering items such as spark plugs and air filters. We're hoping to hear more from representatives from each of the GM brands about why the company is making these changes and will update this article with more information as it becomes available. FLINT, Mich. -- General Motors said Tuesday it will add 1,000 workers to build new heavy-duty pickup trucks at its plant in Flint, Michigan, and will give priority to GM workers who were laid off elsewhere. The performance details from GM come as crosstown rival, Ford Motor Co., said it expects its 2020 Super Duty trucks with a new 7.3-liter engine to be the most powerful gasoline V-8 in its class. The optional engine is in addition to Ford already offering a 6.7-liter Power Stroke diesel and a standard 6.2-liter V-8. DETROIT — General Motors swung to fourth-quarter net income of just over $2 billion, as strong North American results offset restructuring costs and losses in its international operations and autonomous-vehicle unit. The fourth-quarter results compare to a year ago when the company reported a record operating profit of $3.1 billion for the period but a net loss of $4.9 billion due primarily to U.S. tax reform. Those results were based on continuing operations, after the company's sale of its European operations. For the year, net income swung to about $8 billion, from a loss of $3.9 billion in 2017. GM shares rose on the report, gaining 1.25 percent to $39.79 in midday trading. The shares earlier in the day had topped $40. Suryadevara described the results as “strong,” despite outside commodity pressures, foreign exchange challenges and a volatile trade and political environment. GM, she said, was negatively impacted more than $1 billion due to changes in trade in 2018, however was primarily able to offset those costs. Yet another LS derivative. Looks like not much more than a larger L96 6.0L with direct injection and a steel crankshaft. Decent output, should be completely reliable and durable. Probably not as powerful as Ford's new 7.3L, but better fuel economy. And, I'll bet GM spent next to nothing to develop the 6.6L.. It's a stroked 6.0 liter. Note the use of Chinese Kuka robotics. GM is developing an electric pickup truck with a Tesla-sourced powertrain. Chinese robots?? Based on our technology or home grown?? Bob, the CPC has an initiative called "Made in China 2025" (中國製造2025). It's goal is to aggressively acquire leading edge foreign technology so as to leap China forward to the number one spot by 2025. Kuka was a German robotics company, before being acquired by China. They're looking to buy FCA's robotics subsidiary Comau now. China, for example, acquired German concrete pump makers Putzmeister and Schwing. Kevin-enough bad news! Did not know about the two pump makers.